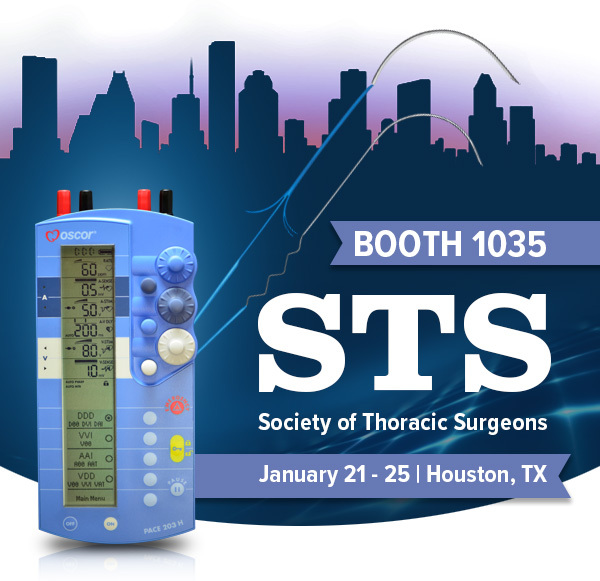 Come join us at STS 2017, and take an exclusive look at our complete line of temporary pacing products for your cardiac and vascular needs. With over 35 years of experience Oscor�s wide variety of product lines include temporary external pacemakers, heartwires and many more pacing solutions. If you would like to set up a meeting with our team, please e-mail us or come by our Booth No. 1035.